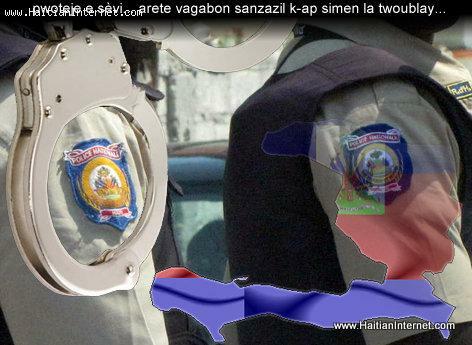 Haitian authorities are on the hunt for kidnappers in Haiti these days and they make it very clear to the public: If you are harboring a criminal in you house you will be prosecuted as well, as an accomplice. Papa-m toujou di: "rèsèlè" pi rèd pase volè!" One thing that is too common in Haiti is that criminals usually hide in plain site. Am I the only one who feels that way? Seriously... Somebody commits a crime in Port-au-Prince, they can go anywhere else in the country and no one will alert the police. I don't know exactly why but I feel that Haitian citizens are NOT very proactive in assisting authorities in the maintenance of law and order. Question 1 - Saying it is one thing but.. Are there any laws and penalties that you know of for harboring a fugitive? Question 2 - If Haitian citizens are made aware of such a law, don't you think it will make Haiti safer? Question 3 - If you think something suspicious is happening in your neighbor's back yard in Haiti. isn't it your moral obligation to alert the police?